Growth Analytics vs. Product Analytics: What’s the Difference? 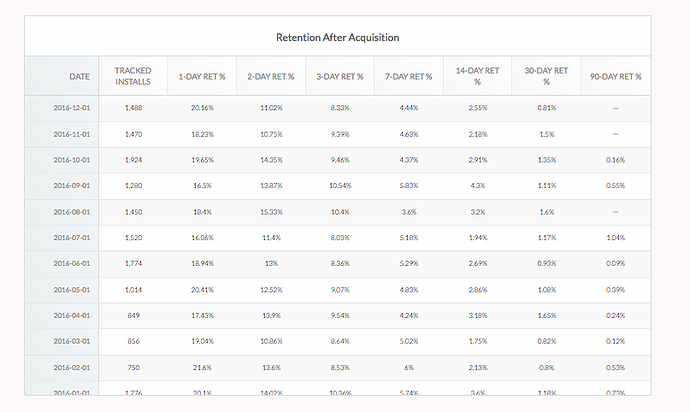 We often get asked how Tenjin compares to analytics companies such as Mixpanel, Amplitude, deltaDNA, and others. The short answer is that the best way to describe those other analytics solutions is as product-centric tools, while Tenjin can best be categorized as a growth-centric tool. What do we mean by product vs. growth analytics? Product-centric analytics tools are designed to help you iterate on your app by understanding how users interact with it, while growth-centric analytics solutions like Tenjin are designed to help you grow your app profitably by identifying and targeting high-value users. How might you use a product-centric analytics tool? These tools are useful for answering such questions as “Which features do my users love the most?”, “How many of my users are completing my tutorial?”, or “Which A/B test got more people to convert to an IAP?” Basically, these tools are good for helping you understand your user’s journey once they are inside your app. So now the question becomes one of which events developers should track with product-centric analytics tools and which events to track with us. 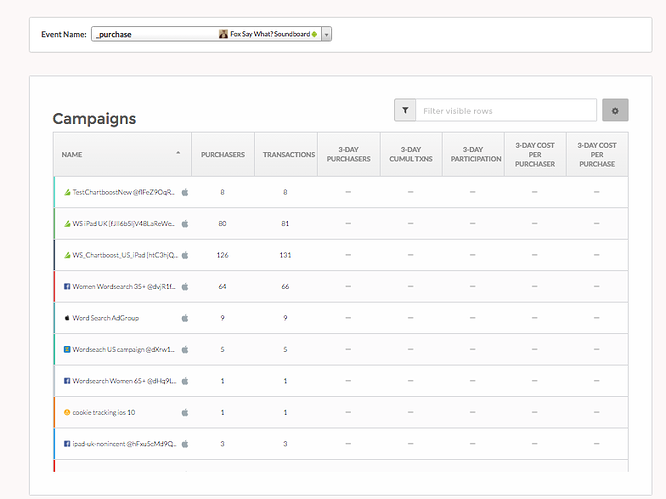 Product analytics are great for things like funnel analysis and A/B testing, but Tenjin is better suited for calculating campaign ROI. Let us look at this first from a perspective of the typical life cycle of an indie game. Early in the development of a game, developers often focus on retention. They try to iterate their game so the UX gets better and better with each update. One way how to measure this progress is to look at weekly retention cohort numbers and see if the numbers improve. These users, however, don’t come from nowhere. Usually, at this point, the indie dev is buying the installs in countries such as Philippines (with its low CPI), Australia or Canada. You might be spending a couple of hundred dollars to get a thousand (test) users per week or so. At this stage, getting insight into some of your growth data starts to become valuable. 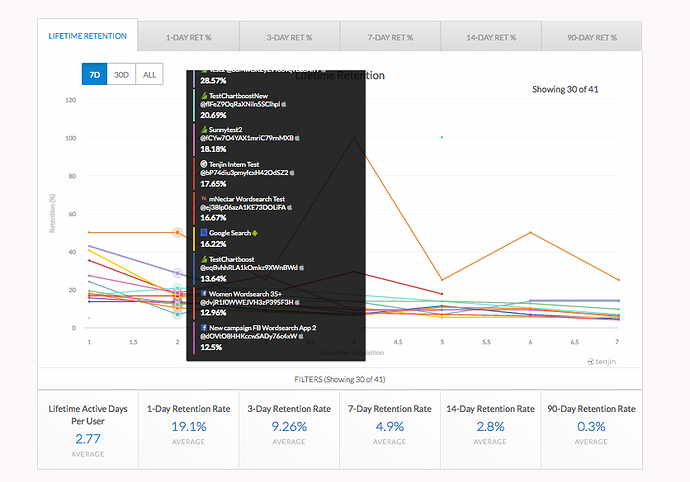 Let’s take another look at our retention dashboard, but now with the granularity of looking at specific campaigns. You won’t find this type of data in your product-centric tools, but you can find it in Tenjin. So to answer the question around which events to track with Tenjin at this stage in a game’s development: we’d suggest tracking anything that adds value to your game, whether a certain level completion, a certain viral mechanic, or that super cool sword people can buy in level 7. This was a post on what type of events you should think of tracking in Tenjin in your game’s soft launch before monetisation. We will come to what to do once you start working on monetisation in a later post. Did we mention that Tenjin is free for indie devs at this stage (if you stay below 12M events per month)? To get started, visit https://www.tenjin.io/sign_up. Save Money on your Mobile Marketing. Seriously. We'll keep you in the loop with product updates and interesting content around data, APIs and analytics.